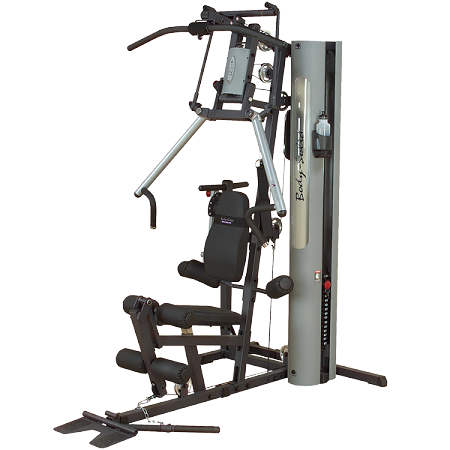 Body Solid G2B Home Gym Available at Fitness Market in Louisville, KY. The Bi-Angular press arms of the G2B guide you through the optimal natural range-of-motion while applying resistance from two directions simulaneously. This smooth, fluid, multi-directional resistance system automatically produces 25% more muscle interaction by eliminating the ability to rest your chest muscles. Thus, you increase the exercise intensity through a full range of safe, convergent, multi-joint, multi-plane movement patterns.